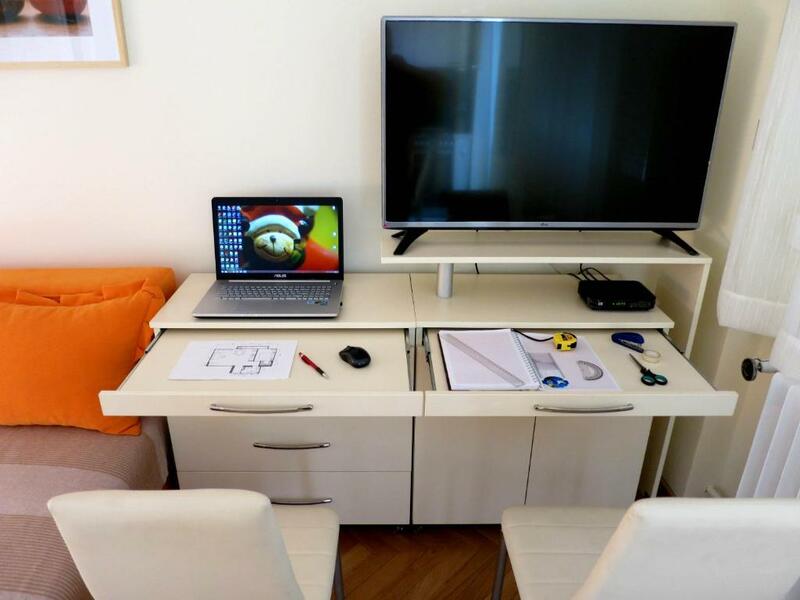 Located in Belgrade, 1.7 km from St. Sava Temple, Apartment Vanilla offers a living room with a flat-screen TV. The Trg Republike Belgrade is within 2.5 km of the apartment. 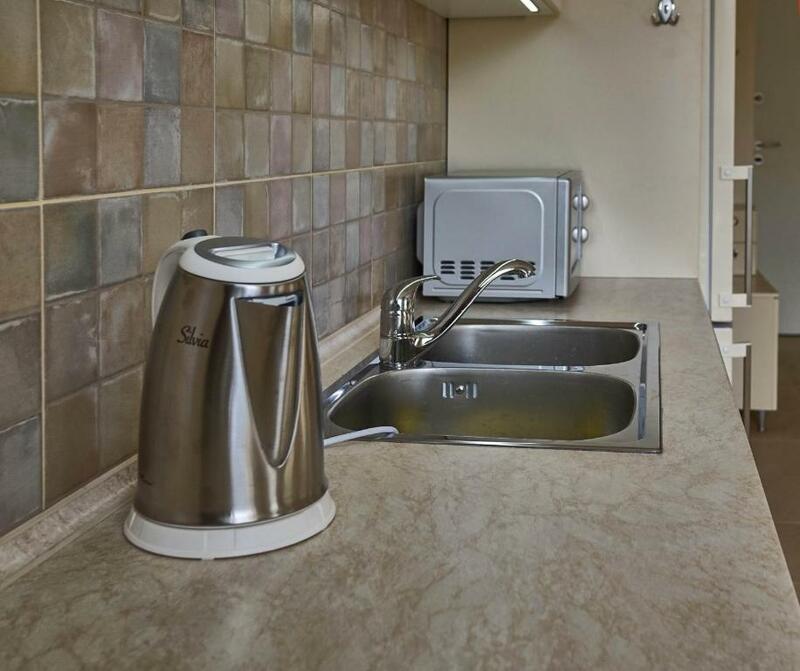 The apartment includes 1 bedroom, 1 bathroom with a bidet, a seating area, and a kitchen with an oven. Apartment Vanilla offers a terrace. Splavovi is 5 km from the accommodation. 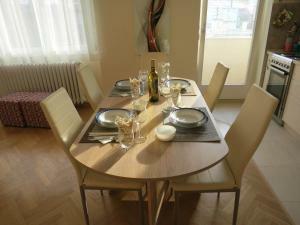 The nearest airport is Belgrade Nikola Tesla Airport, 21 km from the property. 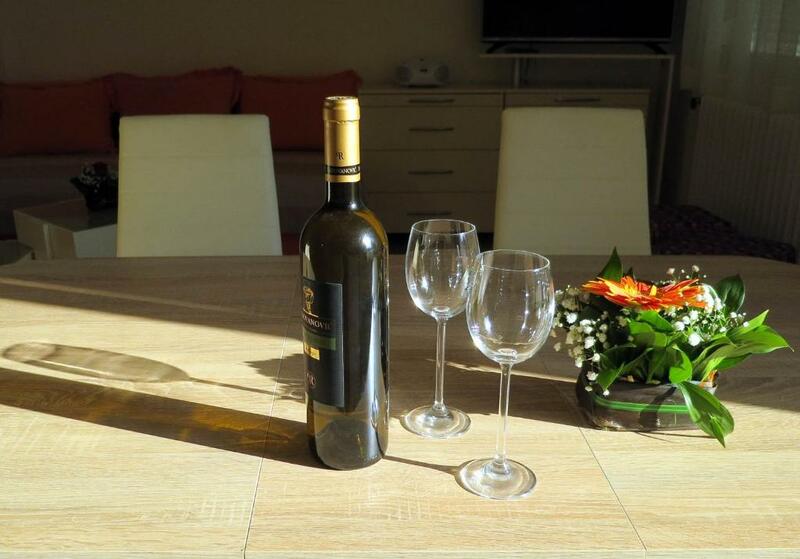 Apartment Vanilla toplo dočekuje Booking.com goste od 16. apr 2017. 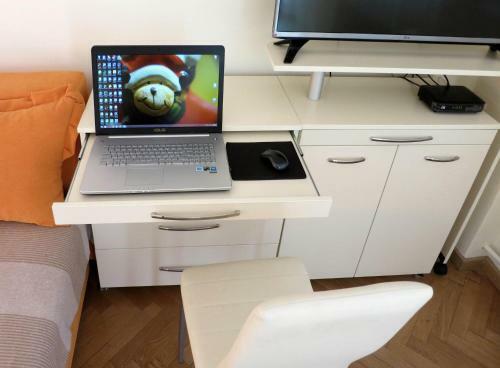 U kom periodu želite da boravite u objektu Apartment Vanilla? 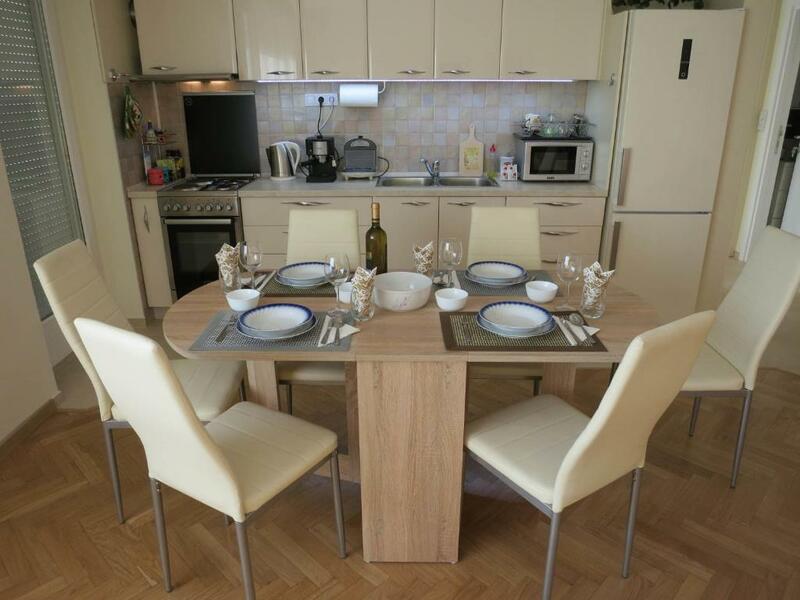 Attractive, beautifully decorated 1-bedroom flat (50sqm) with free Wi-Fi is on the fourth floor in the residential building with elevator and central heating. It is settled in quiet Dalmatinska street, just a few steps from Ruzveltova street and Vukov Spomenik Park. Completely renewed, spacious and stylish, equipped with everything the modern traveler needs, makes it easy to feel like home. 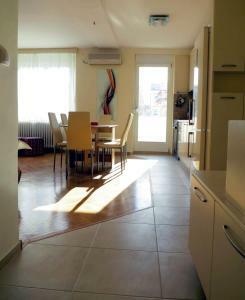 A bright and specious (30sqm) living room with the fully equipped open kitchen and dining area, entrance to cozy balcony. Two pull out sofa (160x200), working place for two, and a large LDC TV with digital cable programs. Bedroom - queen bed (160x200) and plenty of storage in the walk-in wardrobe. Lamp lights are set not to disturb the one wish to sleep. LDC TV with digital cable programs is on convenient height to make your watching optimal. 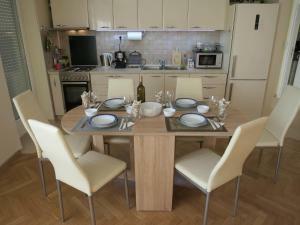 Kitchen is fully equipped, so you can explore benefits of your skills and Serbian recipes. 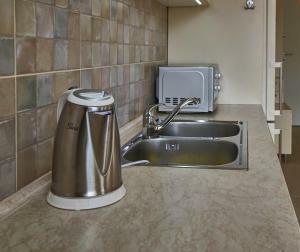 Modern cozy bathroom with bidet and washing machine, offers plenty of space for all necessities. The apartment is completely provided for everyday living, Guests will have complete comfort and peaceful surrounding in the neighborhood. Open view to a little park square and a city boost behind, bus and tram station, will give you touch of Belgrade atmosphere as you look outside. You are far enough from all the busy and noise, but yet close enough to reach it in a few seconds. Settled in quiet Dalmatinska street, just a few steps from Ruzveltova street, across hotel Holiday Inn and Zira hotel with shopping mall. Many banks, exchange offices, post office, pharmacies, bars, restorants, taverns with local cuisine, bakeries, shops... are all around. Vukov spomenik park (metro station, public garage, taxi station) and King Aleksandar Boulevard (shopping) are up to five walking minutes away. Vanilla apartment is easy to go/come to/from any direction, The Belgrade biggest open green market Kalenic is 10 min away walking through interesting busy streets full of stores, coffee bars... 5 min more and you are at St. Sava Temple and National Library, or Nikola Tesla museum... By foot, you are at Tasmaidan park and sport center in 10 min, Skadarlija in 15-20 min., Knez Mihailova street 5 min more... Apartment is excellently connected to literally every part of the city by public transportation. Kućni red Objekat Apartment Vanilla je otvoren za posebne zahteve - dodajte zahtev u sledećem koraku. Depozit za slučaj štete u iznosu od 200 EUR naplaćuje se prilikom dolaska. To iznosi otprilike 23596.12 RSD. Ovaj iznos biće u potpunosti vraćen prilikom odjavljivanja, po proveri smeštajne jedinice. Molimo vas da unapred obavestite smeštajni objekat Apartment Vanilla o očekivanom vremenu dolaska. Napomenu možete da napišete u polju za posebne zahteve prilikom rezervisanja. Osim toga, objekat možete direktno da kontaktirate pomoću kontakt podataka navedenih u potvrdi rezervacije. Potrebno je najmanje 5 recenzija da da bismo mogli da odredimo ocenu gostiju. Ukoliko rezervišete i ocenite svoj boravak, možete pomoći objektu Apartment Vanilla da dostigne ovu brojku.